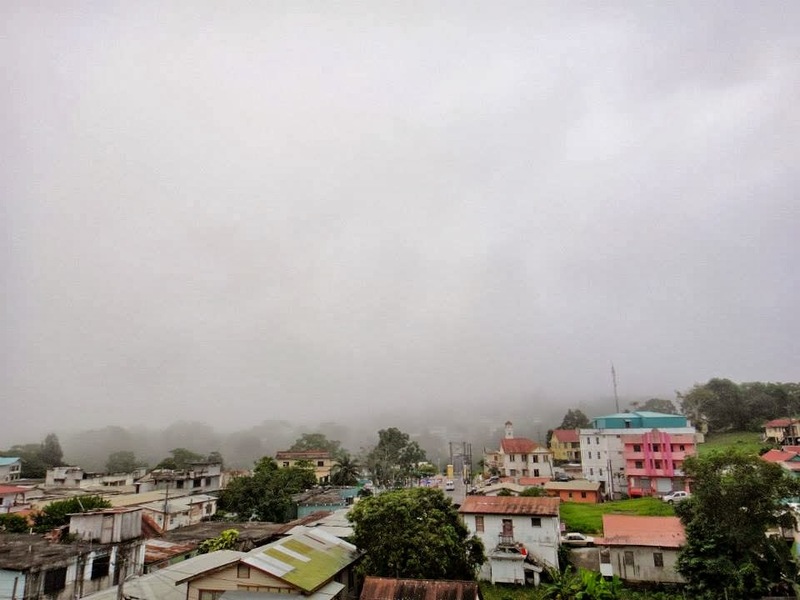 Woke up to a foggy morning... if only it stayed that way. Hottest day yet. 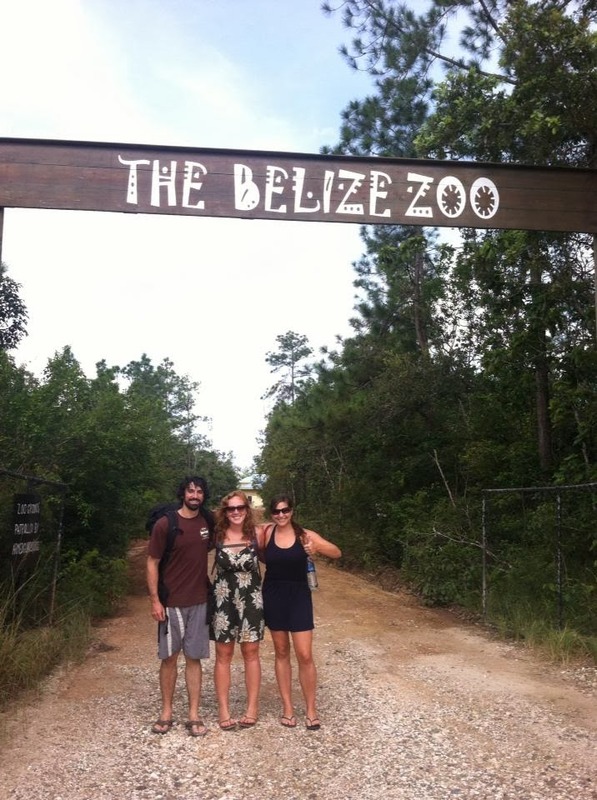 The four of us (the Canadian included) bussed back across Belize to visit the famous zoo. Can't even believe how great it was, we spent 6 hours there. Jaguars, black jaguars, toucans (my favorite bird ever), tiger cats, crocodiles, pumas, macaw parrots, the list goes on and on. 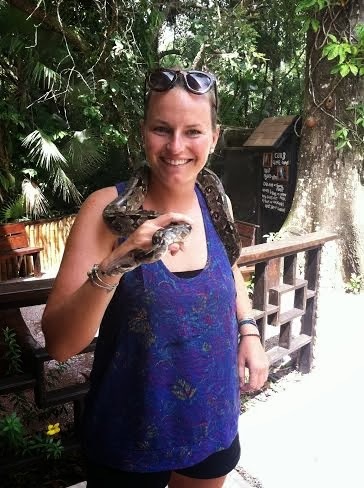 Also held a boa constrictor. 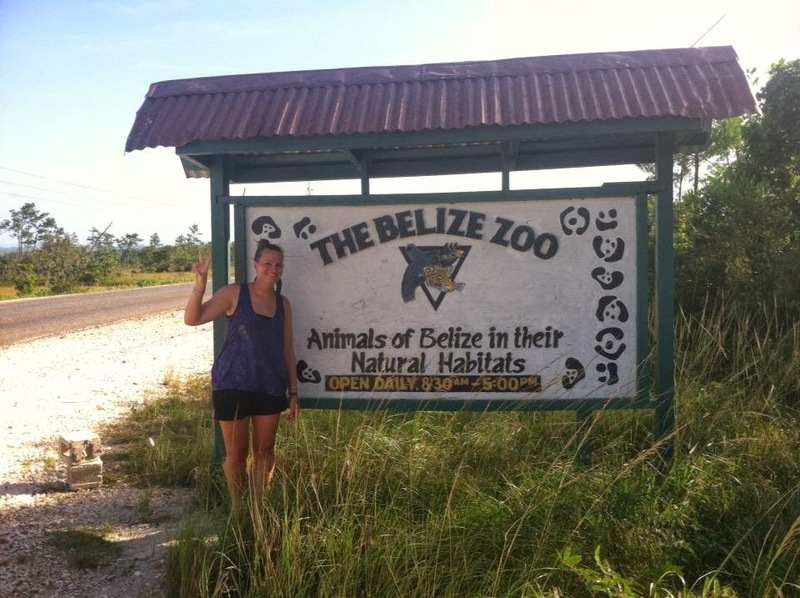 The Belize Zoo will be a highlight of Central America, I can already tell. 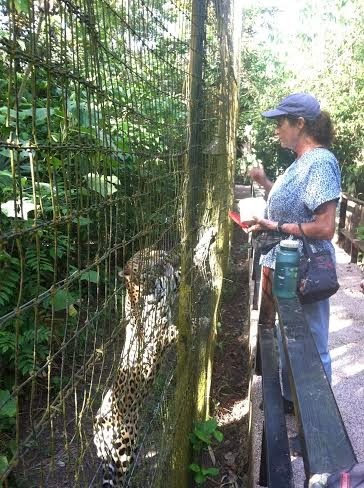 We met Sharon, the zoo owner, at the end of the day when she was feeding the jaguars. I started talking to her about her book and the next thing we knew she asked if we wanted to come along to feed the next animal. We were all worried she was going to take us to the stinky pigs but luckily Sharon took us to feed one of her special toucans berries. 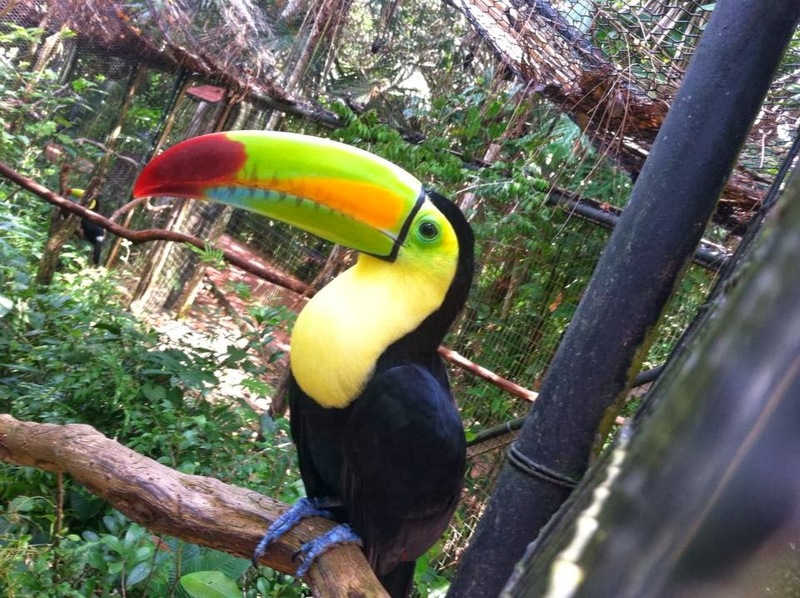 Toucan!- I think I have died and gone to heaven. Her special toucan's beak does not line up properly so she hand feeds him. The opportunity to go inside the toucan cage was beyond amazing.